A guide for new and experienced players alike. All Coop Night players are expected to familiarize themselves with the following guidelines. They are not meant to replace the CiA rules, but to supplement them, in order to enrich our games and enhance our chances of success. Before anything, make sure that you have installed all required addons, including FHQ Group Info that improves your awareness of other units in your team. You can find the full addon list here. First, remember that comms are commanding tools. Loaning them for some chit-chat is ok, but only when they are not required for the leader. Once the mission starts use the comms smartly, and stick to these simple rules. What always applies is to always think before pressing the push-to-talk-key. This will avoid confusion and denial of comms in vain. Stick to valid and important information only, especially if there’s a firefight going on. If there are multiple groups relay your messages through your fire team leader, and do not transmit in the command channel. Whenever possible, responses should be contextual. It means that replying to an order should include the order content as part of it. It helps to reassure the leader that the soldier has understood the order correctly and is executing it. It also provides an opportunity to correct if the order has been misunderstood. Once you have completed your assigned task, report. Again, do it contextually. See the examples below for wrong and correct tasking communication. Leader: George, move to that rock. Leader: George did you get that? George: Moving to the rock. George: George at the rock. The structure of a contact report depends on the situation. If the contact is close, and there’s an imminent danger, break the comms and immediately report the relative direction of the enemy, its identity and its range. Bearing – Check your compass and report in the three digit format – for example “two-four-five” instead of “two hundred and forty five degrees”. It’s faster and less confusing. Type and number of contacts (for example: “a patrol of four” or “a truck and a tank”). 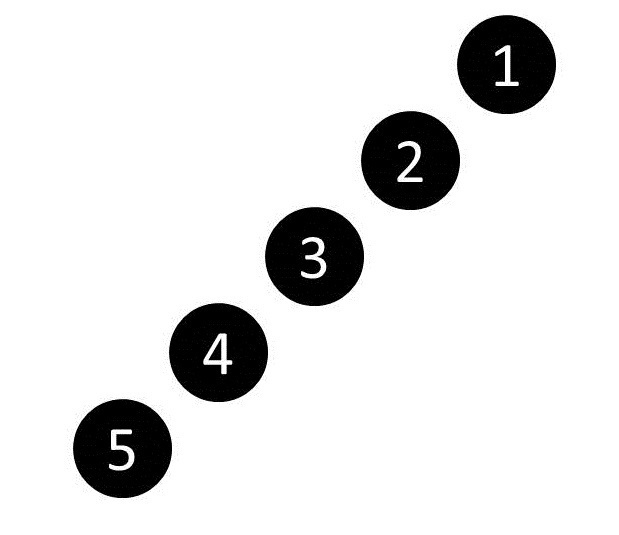 Range – Report in about 50 meters increments. It takes practice accurately measuring range, don’t worry to make some mistakes at the start. Behaviour (optional) – Behaviour includes movement direction and status of alertness. For example, “alerted patrol, moving left”. Of course, when contact is imminent or you are already being engaged you may not be in a position to give as much detailed report, that is understandable. But you still have to try to be as precise as possible because informing the leader and others can actually improve your chances of survival. Also, keep in mind that if you are already engaged, returning fire is an unspoken contact report. Nonetheless, try to communicated the direction, range and type of the contact as soon as you are able. 3. Comm courtesy – time your transmissions! Unless you have something very urgent to say, like a tank that is about to roll over the team, wait until your friend finishes his transmission before hitting the push to talk key. If someone just asked a question, don’t break in, wait for the poor fellow to get an answer, or at least a response, first. No matter how interesting is what you are going to say, mind your manners first! Also listen out for long-range comms and avoid talking until they’ve finished unless it’s an emergency. It’s very hard for a squad leader to receive orders and reply if everyone around him is talking! On most missions, your short-range radio will automatically be set so that you can hear the long-range comms but on those missions where you don’t have a radio, listen out for your leader using his long-range or calling out “Break” to signal that he needs you to be quiet. Make sure that your input fits the stress level of the current situation. If it’s event-less you can amuse us with your jokes or let everybody know the exact mechanisms of the bugs you encounter, but only if the situation is completely calm. Once the action is about to start stay completely focused and remain serious. Report your position to your leader if you are away from your team. This applies in the following cases: realizing that you are lost, re-joining your team after finishing a solo task, joining a game after the mission has started. Report your position or announce yourself to friendlies when you meet them so that they have no doubt that you are friendly. Don’t bump into them unexpectedly or they might shoot you. When the leader asks a question that is addressed to the whole team, don’t reply unless you know the condition of all units, and even then, don’t just say “yes” or “no”, phrase the reply in full, for example – “everybody is inside the chopper”. This will remove any doubt as to whether you referred only to yourself, or to the status of each and every member of the team. If you are in a position where you need a feedback from the whole team, phrase your question in the negative form. For example, instead of asking “is everybody clear of the radar?”, ask “I’m about to detonate, is there anyone still close to the radar?”. The first form will just make people replying “yes” but sometimes they refer only to themselves. It is important that you answer any questions or requests that are heard over the radio. Common examples are the silence after the leader asks “Who’s got the AT”, or, “How many satchels everybody has” – do not leave your teammates in the dark. It requires some attention, i.e., you have to stay focused on the mission, but there is nothing more frustrating for anyone than not getting a reply. If you already know the mission, act like you don’t have a clue what is about to happen. You are free to spoil only if we get stuck and, for example, spend too much time looking for the last target that needs to be destroyed. It is ok to do it only in order for the mission to proceed after we are stuck and it becomes too boring to endure. Refrain from opening fire on your own. There are two cases when you should open fire. You or your team are under immediate threat (when there is no time to ask for permission). In case you would be more useful if you fire on the enemy quickly! In any other case you should just report the contact and hold fire. However, if there’s already a firefight going on, don’t ask to permission to engage, just fight! If you or your team are under fire you may always return fire. Do not open fire before positive identifying your target, it’s better to lose a target than to shoot a friendly. Moreover, it’s better to risk your life and refrain from fire than to shoot your own comrades. Therefore, remember which side we are playing, remember the look of the uniforms and their color pattern. Remember which vehicles we are using, because sometimes they may be captured from the enemy. If the team is split or there are multiple friendly units on different positions, you must maintain awareness of their positions, so you won’t end up shooting at them when the fighting starts. If the leader orders stealthy approach, prefer to use silenced weapons. Leader sometimes may require of you to use certain type of ammo, for example, HEAT instead of HE rocket for RPG-7. Also, when setting satchels it is up to the leader when you can detonate it. Don’t do it without his permission. Placing mines is also something that you usually do on leader’s order. First of all, when you are in a team, always remain aware of your leader’s position and the rest of the team. By doing that you avoid getting lost, taking part in friendly fire incidents, and you are more available for support when needed. Again, there are awareness addons that can help you in keeping with your team. While the use of other situational awareness mods is allowed, using FHQ Group Info is mandatory. These will help you to associate the guys around you with their names and remaining aware of your number and your sub-team color and members. Stay with your team. You may be assigned to a “color” team (Red, Green, Blue Yellow), or you are with the main team (White). In any case, stay with your team. Do not stray off, and do not go anywhere on your own, even if you think it is a good idea. If at all, ask for permission to move somewhere else, and await the response from the team leader. FHQ Group Info displays your team’s name and your number on the bottom right of the screen. It will also show you the colour of your team, and who else is in your team. Formations can be tight or wide depending on the situation. but in any case, don’t stick too close to other units – a single grenade, for example, can take out the both of you. Don’t veer off – it can confuse others and make the team less effective. 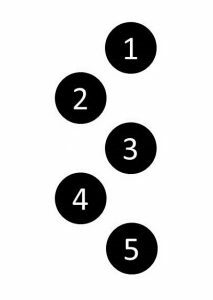 In certain circumstances the leader can improvise with the formations and order of units within it. Pay attention and remember your assigned position. Obviously, everyone is behind the leader in order of numbers. is not expected. Also, it is very useful when moving inside forest, because each team member behind the leader is following the one in front of him. 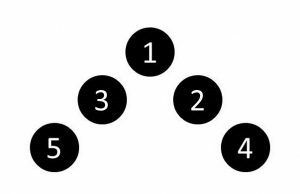 Leader is in the centre, even numbers are to his right and odds are to his left. It is best to use it while approaching hostile area when flanks are secured and you want to focus your fire at 12 o’clock. It is generally less preferable than wedge formation. 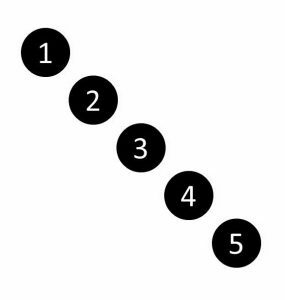 Similar to line, but each row of numbers (2 and 3, 4 and 5, and so on) are little behind to the row in front. Unlike line formation wedge does something to protect your flanks, because evens cover right arc and odds left. It also much easier to keep formation comparing to a line formation. While moving front in echelon left or right formation we are protecting either left or right flank. We use one of those formations when we expect enemies only from one of the flanks, or want to keep the team concealed while moving along straight terrain features. Think of a staggered column as two parallel column formations in which one line consists entirely of odds and is fronted by the leader and the other solely by the evens. It offers same speed of movement as the standard column formation but with more protection than it. It’s pretty evident. Only you are guilty if a friendly bullet kills you when you move suddenly and cross a friendly line of fire. When passing friendly units, move behind them instead of in front of them. Do not block a friendly vehicle by standing in front or behind of it. You also risk being run over if the driver does not see you. It’s even riskier to stand or move in front of AI controlled vehicle. AI’s are very bad drivers! Do not do it on your own, consult with your leader. In some cases, getting into a certain mission critical vehicle can even technically mess up the mission. If in your vehicle there are AI crewmen, do not switch over to their position! Once you allowed to enter, do not drive off on your own and follow the rules of engagement. Don’t drive anywhere on your own! Consult with your leader first. Make sure that nobody is close to your vehicle before you start moving. Ask everyone to stay clear of it and use the horn if available. Its not only important for the medic to know what to do and how to act on the battlefield. All players, regardless of role should be aware of what to do and what should be avoided. We use ACE 3 basic medical system and it works a bit different then vanilla or psycho’s revive. Once bleeding has been stopped, regain the patient consciousness by applying Epinephrine. Once the patient has regained consciousness, proceed. Next step is pain relief. Administer morphine if needed. Morphine can be injected to any of the limbs. It doesn’t matter which one. And lastly if the patient has lost “a lot” of blood you may need to perform a blood transfusion. Otherwise the patient might lose consciousness and be overly fatigued. If you are not the medic, and there’s a medic nearby, DO NOT attempt to treat wounded comrades unless ordered by your team leader. Make sure the medic is coming but your job is to fight! If you are lightly wounded and have an option to patch up yourself or a friend with a bandage, it’s better not to waste it and find a medic to treat you. Hold still when being treated, so the medic will be able to access the wounded limb. If you wasted your bandages or Morphine restock at the medic. He usually has a quantity of them. A good opportunity to do so is when he has treated you. Just ask him for what you need and hopefully he can spare some. Medics, you are not disturbing the patient when you heal them! No need to ask permission first. Use FHQ GroupInfo to identify the patient and tell him to hold still (ideally go prone) while you give him aid. Medics, it’s your job to know who’s up and who’s not. It’s your job to regularly check everybody for wounds and treat them. you don’t need orders to do so, nor should the order have to be given. The team leader expects you to do this on your own. It’s a standard operating procedure. Use your FHQ GroupInfo to identify your team and everybody keep a constant status of who’s up and who’s down. Medics should keep themselves safe! This means not going on point and generally staying behind other team members. If it’s clear, approach a fallen comrade without order to do so. However, when there’s danger, consult your leader before moving to first aid. He may orchestrate covering fire, a smoke screen or any other means to limit the threat to you when you move in for the heal. Rather lose a teammate than losing a teammate and the medic! Medics should not carry heavy weapons/operate critical assets unless it’s necessary. Other team mates can do that. Extra ammo is alright. Reporting medical status of yourself and others: NEVER say “X is down”, it’s not clear whether X is bleeding or dead. Stick to the following: “X is dead”, “X is unconscious”. So who should take the medic slot? Well if you care more about the overall success of the mission rather than racking up kills this is the slot for you. Playing as the medic can be a very rewarding role as long as these guidelines are followed by all participating players. All non medic players; remember that the medic often sacrifices having long range capabilities, grenades and such in favor of other gameplay mechanics. Don’t take that away from him. If you started to read this part of the guide, you are probably thinking about being a leader. Before we see how will you deal with such responsibility let us first say – thank you! 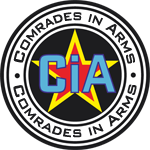 It is a duty we welcome you to perform, the leader’s slot is NOT reserved only for CiA members. If you think you are not good enough to lead – nobody is born a good leader but you can become one and we encourage you to do it through practice with us. Be sure we will respect your authority! Being a leader gives you control over your squad/team. From start to finish your say is final. It starts from the slot screen. Usually we don’t order people to take specific slots, but you can demand that somebody takes a specific and important slot such as a medic. When we have multiple teams you can order people to evenly take slots from each team, or, if there is not enough people to fill all of them, you can order players to fill just few of them, leaving one or more team without human players. Sometimes it’s better to have one full team of players than two or more teams with only few players. In some of the missions you can choose time of day in which the mission takes place or some other parameters. Once the mission starts your orders will be specific. “Go over there” or “engage that machine gunner”. You will have to orientate on the map and keep track of your team. You can decide if deviation from the original plan is needed due to circumstances. Your team will report targets, their behaviour and any other significant events. It’s up to you to process it and decide how to react. Reaction to events can be critical. Quickly respond when situation develops and threatens to get out of hand. Sometimes retreat is the best option. Remain in control and keep it by not making too hasty decisions. When there are multiple teams, each team shall communicate using its own frequency. You will be ordering only leaders using the long range radios and they will order their team members. However, in certain situations you will want to have all players on the same frequency. Don’t sprint ahead of your team. Move in normal jogging speed to allow your men to catch up by sprinting. Know where you are at all times. If you are not confident about your navigation skills, assign a point man to navigate for you – not knowing how to navigate should not be a reason to avoid leading. You will have to handle unit formations while you’re leading. Choose a formation based on the likelihood of enemy contact, the expected direction to the enemy, and the terrain. The table below can help you decide which formation to choose. When you are leading a team which is subordinated to a mission commander, you will have as much freedom over your team as a leader can have. You only have to accomplish tasks given by the mission commander whose orders may go into details but it will usually be just left to you to choose on how to accomplish them. For example, the mission commander may assign you to take your team and “capture that barn to the East”. In that case it will be up to you how to approach the task in order to accomplish it. When controlling multiple teams allow an extent of freedom when assigning tasks to team leaders.If you will try to micromanage, you will be over your head, frustrate everybody, and probably will not achieve your goals. Instead, provide your intentions in a more general way. For example, when assaulting an enemy camp, instead of drawing the exact route for the team leader and telling him which weapons to use, simply tell him – “Bravo, capture the enemy camp” and let him decide how to approach his mission. This will not only remove workload from you, it will also increase the chances of success as in most cases the guy on the field knows better than his remote commander how to do things. If you ar commanding a larger team (say, 6 or more people), it might be beneficial to separate the teams into multiple smaller groups with the help of the team color commands. For example, consider you have a team of 8. Split them in two fireteams (four each, say, red and green). Assign a subordinate team leader to each colored team, and give orders to the teams instead of the individual soldiers. This makes it easier for you to manage and command larger teams. Vehicles are powerful tools, especially armored vehicles. They yield devastating firepower and powerful optics. However, remember that vehicles are very sensitive to infantry rocket fire, be it guided, or low end RPG. Many vehicles can be disabled even in one RPG rocket hit and it must affect your judgement on how to use them on the battlefield. In terrains where visibility is limited, like forests and urban environments, never move vehicles without infantry support. Infantry should cover the vehicles by guarding their flanks and spotting targets for them. Don’t advance a vehicle into a position that the infantry has yet to clear it. The infantry should spot targets for the vehicle, secure the intended vehicle firing position, and only then the vehicle should take it and open fire on the spotted targets. When moving in the open, where visibility is clear, the infantry is in a disadvantage due to lack of cover and concealment. In this case move the infantry through the open only once the vehicle is in a position to cover their advance. Sometimes you’ll have a wing commander who’ll receive your orders and task the individual pilots, other times the individual pilots will be under your direct control. In either case, they’ll normally be on the same long-range frequency as everyone else, so you’ll just raise them on that using their callsign. Like vehicles, helicopters and jets are highly sensitive to anti-aircraft fire so use them carefully! If possible, observe their area of operation and remove any AA threats before sending them in. Often these air assets are vital to completing the mission and can’t be replaced if shot down, so in most cases you should instruct your pilots to prioritize their safety, avoiding threats even at the cost of disengaging the enemy. They can always come back around for another pass when it’s safer. When mission ends share your impressions about the mission, tactics, different possible approaches, what caused mission failure if it happened, or simply congratulate your comrades on a successful mission. We don’t usually talk much about the mission right after it ends but there is a debriefing thread on our forum where we share our impressions. You are free to share yours. Don’t let your team get distracted. If players lose focus, shout to make everyone start paying attention, but remain respectful. All team members must follow Communication rules as stated above in this guide. Much of the leading is the same, there are some standard procedures that everyone follows, but there is also something special to learn from everyone. Observe how other players lead, and how their styles can be different. Since Arma is an open world game there are almost always more solutions for each situation. Try to find some new or more interesting way to deal with situations on the battlefield. That’s an interesting aspect – the balance between fun and an effective plan. We witnessed that conflict also on the arms dealer mission. Sometime completing the mission is easier using a simpler, less intense and less interesting approach. However, when it’s up to me when leading, I will ALWAYS prefer the more fun plan, even if it compromises our safety or the mission. Please remember that when I end up leading us all to our certain death hehe. Now, find out which is your way!